SANTA FE -- Gov. Bill Richardson's signing of the Aquatic Invasive Species Control Act now allows the Department of Game and Fish and its partners to take actions to protect New Mexico waters from negative impacts of aquatic invasive species. 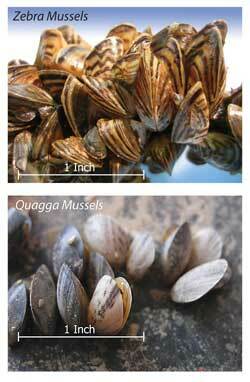 Passed unanimously by the House and Senate, House Bill 467 is intended to help keep invasive species such as zebra and quagga mussels out of state waters. An emergency clause mandates that the act take effect immediately. The New Mexico Department of Game and Fish is urging everyone who uses the state's lakes and streams to recognize the importance of the act and help keep invasive species out of state waters. Although zebra and quagga mussels have not been found in New Mexico, the mussels are in all bordering states except Texas. 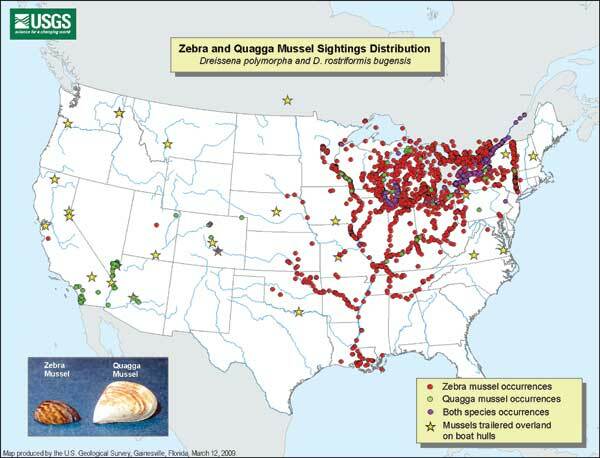 First discovered in the Great Lakes in the 1980s, fingernail-sized zebra and quagga mussels have spread to waters in more than 25 states by attaching themselves to boat hulls, motors and other items transported from water to water. Millions of dollars are spent annually to control and monitor the invasive species, which clog water pipes, foul boat motors and kill native plants and wildlife by removing their food supplies. Once they contaminate open waters, they are impossible to remove. 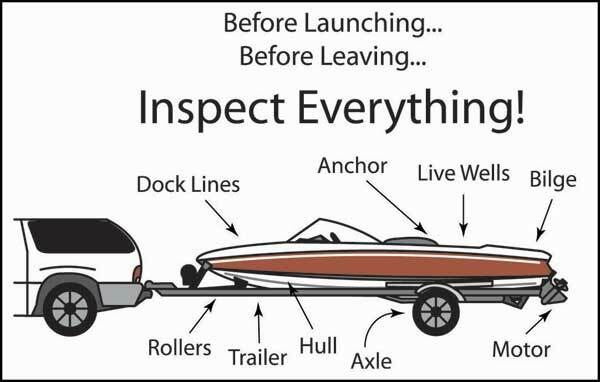 The Aquatic Invasive Species Control Act gives officers with the Department of Game and Fish and the State Parks Division authority to inspect and require decontamination of vessels, trailers or other equipment suspected of being contaminated with invasive species before entering state waters. The act requires that all boats, personal watercraft and equipment used in waters infested with invasive species be certified as decontaminated before entering New Mexico waters. Colorado: Lake Pueblo, Grand Lake, Jumbo Reservoir, lower Colorado River between Lake Mead and the Gulf of Mexico, Lake Granby, Shadow Mountain Reservoir, Tarryall Reservoir, Willow Creek Reservoir. Arizona: Lake Mead, Lake Havasu, Lake Mohave, Lake Pleasant, suspected but not confirmed in Lake Powell. Utah: Electric Lake, Red Fleet Reservoir. Nevada: Lake Mead, Lake Mohave. Oklahoma: Arkansas River, Verdigris River, Oologah Lake, Lynn Lane Reservoir, Kaw Lake, Sequoya National Wildlife Refuge, Grand Lake O' the Cherokees, Sooner Lake, Skiatook Lake, Middle Bird Creek, Fort Cobb Reservoir, Foss Reservoir. California: Lake Havasu, all Southern California inland waters in Orange, Riverside, San Diego, Imperial and San Bernardino counties. Remove visible mud, plants, fish or other debris before transporting equipment. Eliminate all water from your boat and equipment before transporting it anywhere. Clean and dry everything that came in contact with water, including boats, trailers, live wells, bait buckets, equipment, clothing, waders, dogs, etc. Never release plants, fish or other animals into a body of water unless they came from that same body of water. For more information about aquatic invasive species, please visit the Department of Game and Fish Web site, www.wildlife.state.nm.us, or these other Web sites: http://100thmeridian.org/, www.fws.gov/answest, www.protectyourwaters.net, or http://invasivespecies.nbii.gov/index.html.